Bruno Tree Care, Inc. has one goal in mind: complete customer satisfaction. We have experienced staff, we're fully equipped with proper machinery and all necessary tools for successful completion of your project in a timely manner. You can trust the professionals at Bruno Tree Care to provide complete guidance from plant selection, plant placement and after care instruction or service for all of your needs. In addition to providing tree care and planting services, Bruno Tree Care, Inc. offers custom tree-house design and construction. Pruning improves the health of trees and prolongs their useful life by removing dead, weakened or diseased branches. As well as helping to preserve the health of trees, pruning is also used to make trees safer, more attractive, or to improve your view. Pruning jobs call for precision, the right equipment and experience. 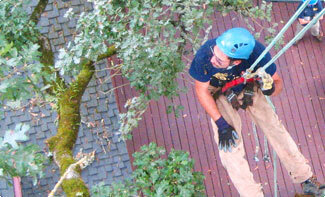 Bruno Tree Care, Inc. has experienced technicians who have mastered “Rope and Harness” climbing tecniques which enable them to reach remote limbs on tall trees in tight spaces. Depending on your goals, a number of pruning options are available. If a tree is dead, dying and dangerous or is in the way of structures or new construction, then tree removal may be necessary. 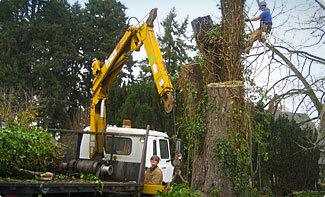 We offer a custom approach to tree removal. Regardless of the service level you select, our skilled, insured professionals guarantee your job will be done safely. Our technicians will make free wood chips available after every job, if you desire them. Customers use the chips as landscape mulch and for erosion control. Choosing the correct plant for the right purpose and location is important. Choosing Bruno Tree Care, Inc. for your planting needs, including trees, shrubs and vines, ensures that proper planting guidelines are used to maximize plant survival and your financial investment. Planting practices used by Bruno Tree Care, Inc. include instruction in proper watering techniques and/or irrigation systems (when required), and a one-year guarantee. The most useful way to analyze the health of trees is to have an experienced arborist perform a visual inspection of diseased or damaged trees. Special equipment can measure factors that impact survival rates including the hollowness of a tree. In some cases, a sick or damaged tree may not need to be removed. 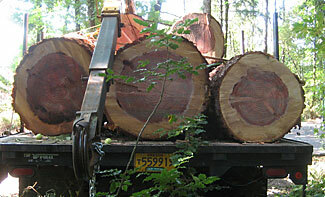 Bruno Tree Care, Inc. can determine if your tree can be saved. You can be confident that the certified arborists at Bruno Tree Care, Inc. have the education, the knowledge and the experience to provide you with expert consultation and report services that you require. We network with other affiliated professionals in peripheral industries at local, state and federal levels to remain up to date about public policies regarding public shade trees or town owned trees adjacent to your property. In addition to providing assistance with questions regarding general public and private tree laws, we provide tree health and hazard evaluations. 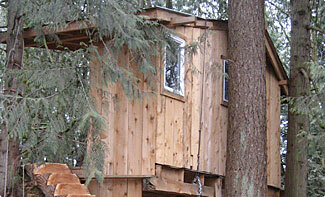 Would your children or grand-children enjoy their own tree-house where they could play for hours? Would you like to set your own inner child free by getting closer to nature and the serenity it brings? Let Bruno Tree Care, Inc. custom design and build the tree-house of your dreams using milled wood from local sources, or wood milled from felled trees from your very own property! 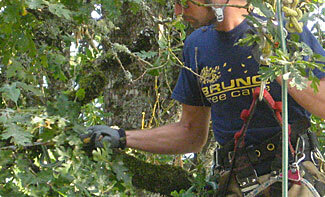 Want to know what’s going on with Bruno Tree Care? Would you like to read about some interesting things we are involved in locally?